The annual report season is quickly followed by the annual sustainability report season and this year there seem to be more sustainability reports than usual, which is not surprising as some companies have brought out their first reports. Among the core environmental stocks to have recently produced sustainability reports are Tassal, New Zealand King Salmon, New Energy Solar, Blackmores, and Kathmandu, while Bingo Industries, Cleanaway and Sims Metal Management have included a sustainability report or review in their annual reports. I don’t propose to go through each report in detail, but it may be of interest to pick out some of the more interesting items in the Bingo, Cleanaway, and New Energy Solar reports as these discuss waste management and clean energy, both of which are issues of national importance. The other reports are just as interesting, especially for investors who like to know what their money is doing. 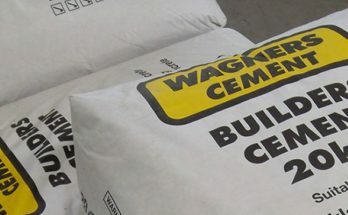 In 2017-18 Bingo Industries recovered 223,000 tonnes of brick and concrete, 38,000 tonnes of scrap metal, 11,000 tonnes of timber, and 800 tonnes of paper and cardboard. It also turns green waste into compost, but it did not say how much green waste it recovered. The company earns revenue from these five waste streams, which are among 14 materials that it processes and separates. 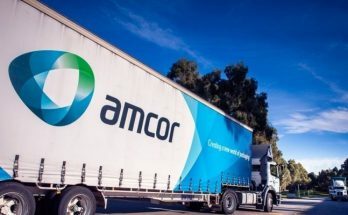 The company said it is working to develop a better way for managing asbestos, and has built strong relationships with its stakeholders including the NSW and Victorian Environmental Protection Authorities. The NSW EPA has identified asbestos as a ‘problem waste’, and it often results in illegal dumping and land contamination. Bingo said it supports people to do the right thing by providing safe disposal bags and separately identified skip bins and a lawful way to transport and dispose of the material. 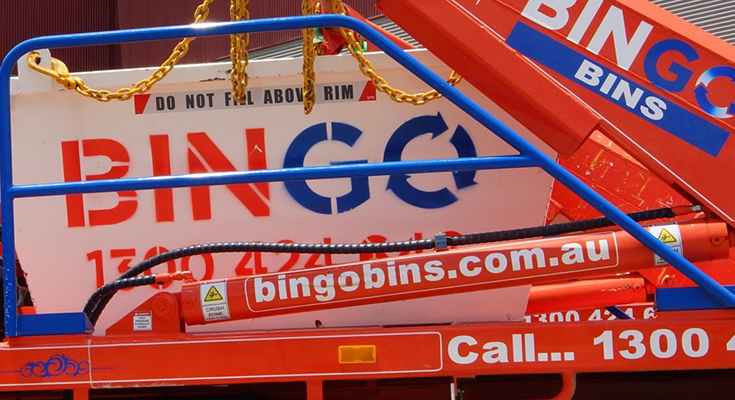 Bingo’s recent acquisition of Dial A Dump and its site at Eastern Creek is an opportunity to transform waste recovery and recycling in Greater Sydney through the development of a Recycling Ecology Park. This will accept both putrescible and non-putrescible waste streams and will broaden Bingo’s range of processed end products. Bingo said sustainability is its business and that as a leading waste management company with over 50 per cent of its earnings from recycling it has an opportunity to significantly contribute to the development of the circular economy in Australia. 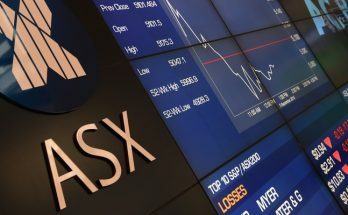 Bingo said it is working with Planet Ark to become one of the most sustainable companies on the Australian Stock Exchange. It also wants to join the Dow Jones Sustainability Australia Index. It has made a long-term commitment to turn all its facilities into urban solar power stations to provide renewable energy for its facilities, to export electricity to the grid, and to reduce its carbon emissions. 1,160 kilowatts has already been installed. The company’s key aims are be an advocate for diverting waste from landfill, investing in new technology to increase recovery rates, improving industry transparency on recycling practices, and processing materials for re-sale and re-use. Its Bingo Live online platform allows both Bingo and its customers to manage their environmental impacts. It enables Bingo to track all of its vehicles, bins, waste types, volumes and their destination. This improves resource recovery rates and fuel consumption and carbon emissions. It provides customers with accurate weight-based and superior waste management reporting. This helps them to better track and understand their waste generation and to implement waste management strategies such as segregation at source. A Bingo Live customer mobile app is also on the way. In August Bingo launched a program called Pushing for a Waste Free Australia to tell what is important to it as a business. The company said education is key to its sustainability agenda, and it has a responsibility and social licence to lead and advocate for change within the waste management, real estate and construction industries, including its customers, staff, suppliers and the community. Cleanaway is Australia’s largest waste management company, and this is reflected in its statistics. In 2017-18 the company recycled 320,000 tonnes of paper and cardboard, 16,000 tonnes of plastic packaging, 14,500 tonnes of steel, 50,000 tonnes of organic liquid waste that was re-used as nutrient, 42,000 tonnes of biosolids that were re-used as nutrient, and it collected and reprocessed 125 million litres of used oil. Landfill gas captured from its landfills generated over 140 million kWh of renewable energy, enough to power over 28,700 homes. Cleanaway said a key issue for Australia’s recycling industry is the far stricter standards for mixed paper and mixed plastics required by China’s new National Sword policy. This covers the products traditionally recovered from household commingled kerbside recycling bins, but the majority of kerbside recycling systems aren’t able to produce the low level of contamination now required. 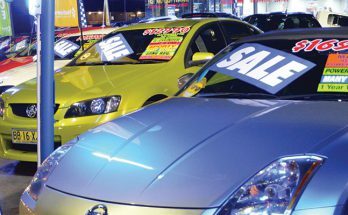 Cleanaway says the long-term answer is not to find another off-shore market but to encourage investment in domestic processing capacity. Australia needs to educate, sort, recycle and reuse locally, and under consistent standards. This needs a stronger alignment between all levels of government and a commitment from industry to use an increased percentage of recyclable materials in the production of new goods. In April this year Australian Environment Ministers agreed to the target of making 100 per cent of Australia’s packaging recyclable or reusable by 2025,but Cleanaway said that the pathways to this goal are still unclear. Ewaste is one of Australia’s fastest-growing waste streams. It contains toxic materials such as mercury and lead as well as valuable raw materials such as gold, silver and platinum. Cleanaway said a reliable recycling plant can recycle at least 90 to 95 per cent of ewaste components. 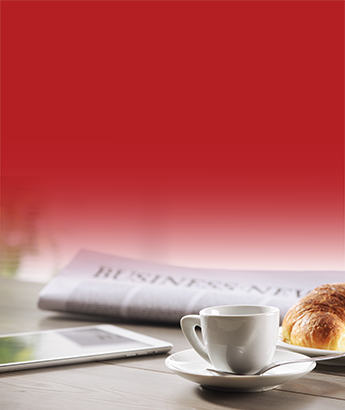 Cleanaway owns the Australian rights to the Swiss processing technology called BluBox. BluBox can safely handle most of the ewaste produced in Australia, and eliminates the exposure risks that come with manual dismantling. Cleanaway has two of these units, at St Marys in Sydney and Dandenong in Victoria. The BluBox breaks down the ewaste under negative pressure, it extracts the mercury vapour and mercury fluorescent dust, then an optical sorter separates the outputs into the major recyclable components such as plastics, ferrous metals, and aluminium. A joint venture with ResourceCo is opening Australia’s first Process Engineered Fuel (PEF) plant in Wetherill Park in Sydney. PEF is a substitute for fossil fuels in industrial applications. It is created from dry commercial and industrial waste and construction and demolition waste after the recyclables have been recovered. The plant will process 250,000 tonnes of waste per year. A resource recovery centre at the Erskine Park Transfer Station in Sydney is under construction and will be able to process 150,000 tonnes of waste a year and through recycling will divert a significant amount of this from landfill. Cleanaway is also working on new projects for organics processing, resource recovery, and landfill gas. New Energy Solar has a large and growing portfolio of 22 solar farms in the US and Australia. Ten are operational, six are under construction, and six will be acquired. In the six months to 30 June, its operating portfolio generated 288.4 gigawatt hours (GWh) of electricity, enough to displace the equivalent of 183,238 tonnes of CO2 emissions or enough to remove the equivalent of nearly 80,000 cars from the road. 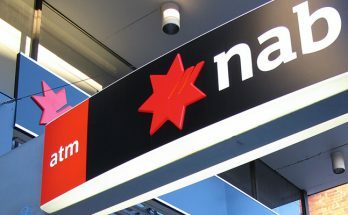 Chief executive John Martin said this was an ‘environmental dividend’ equivalent to a 0.6 kilogram reduction in CO2 emissions per stapled security. These statistics will grow as New Energy Solar constructs its large development pipeline. When the whole portfolio is operational, it will generate 1,700 GWh of electricity each year. This will be enough to power 233,000 homes or all of the households in Wollongong and Newcastle. This will be enough energy to displace 1,174,000 tonnes of CO2 emissions, or the equivalent of removing 304,000 cars from the road. Mr Martin said New Energy Solar strongly advocates for a sustainable supply chain: it partners with responsible suppliers and sources materials and services locally when available. New Energy Solar has identified 12 United Nations Sustainable Development Goals (SDG) that it can contribute to. The company makes its solar plants available for site testing and tours on solar technology for high school and university students and for education on the importance of mitigating greenhouse gas emissions. It is working with a team from the University of California Berkeley, who are exploring structural changes to soil hydrology and soil biology in solar power plants. 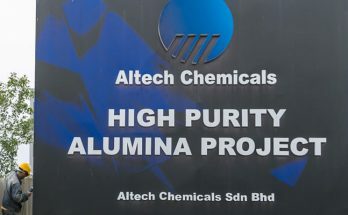 The company said this is important to its business as land preservation is a key topic in the investment process and is strictly monitored during a plant’s construction phase and operational life. The company is part of the Solar Buddy program that provides a solar light source to marginalized communities in developing countries that are suffering energy poverty. SolarBuddy has two approaches – education and illumination. The SolarBuddy Education Program gives children the opportunity to build SolarBuddy solar lights. These are the world’s first and only LED solar light that can be assembled by a child as young as seven. Since 2016, over 100,000 students across 400 schools and 13 countries have participated in the SolarBuddy Education Program, says New Energy Solar. The solar lights have also been used by Non-Governmental Organisations such as Australia Aid, Red Cross and the United Nations. So far, over 200,000 people have used SolarBuddy solar lights. Over 20,000 solar lights will be delivered to rural communities in Papua New Guinea and parts of Africa over the next three years. SolarBuddy aims to reach six million children in the South Pacific, south east Asia and Africa regions by 2030. New Energy Solar said it will continue seek opportunities such as SolarBuddy to expand its positive impact and raise awareness on issues that can be addressed by renewable energy. The company also helps with local job creation and engages and donates to local schools and community centres.